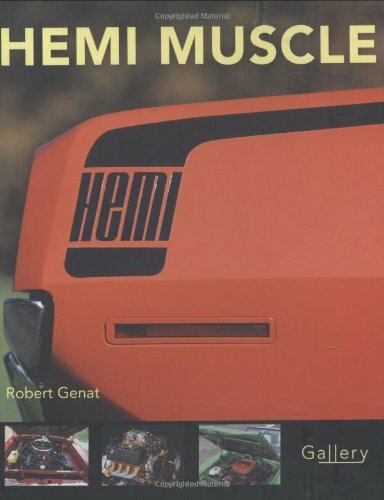 Product Description: In this value-priced celebration of Hemi muscle cars, author and photographer Robert Genat celebrates the word that has been synonymous with speed, power, and muscle. Named for its hemispherically shaped combustion chambers, Chrysler's iconic engine has powered some of the most powerful automobiles down America's highways, drag strips, and race tracks. This book on Hemi muscle cars profiles all of the great cars that have carried the Hemi badge, from muscle car legends like the Road Runner, Challenger, 'Cuda, and Superbird to emerging legends like Dodge Hemi trucks and the next generation of Charger hitting the streets. Each profile features color photos detailing the vehicle and its engine, along with technical and historical information on the Hemi engine.